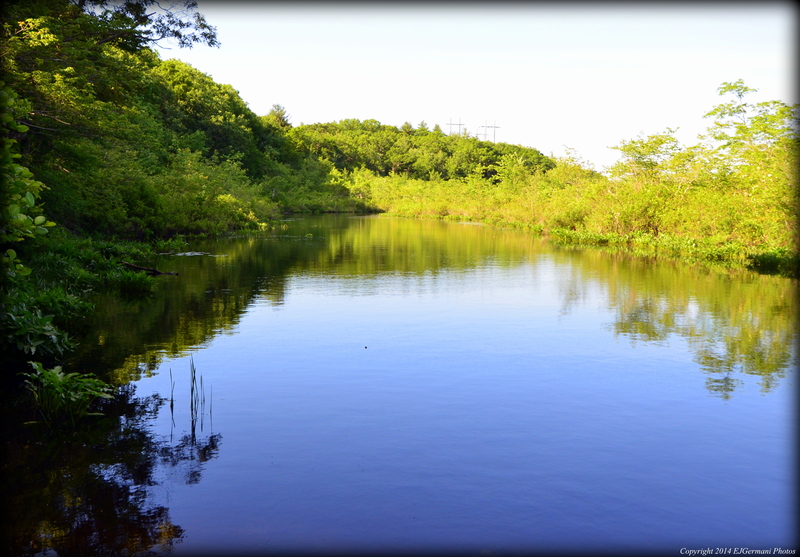 This is an Audubon Society property that is nestled between Davisville Road and Route 4 that abuts the Hunt River. There is a small and narrow loop trail here. The entrance is not easily visible from the road unless you are looking for it. The sign is set back a bit. The trail begins at the sign and splits about a hundred feet after it. I followed the more traveled “main/straight” trail first to its end. The trail ends at an electrical tower. I turned left here and walked to the next tower where the return trail begins. I followed that trail back to the split. There are a couple side spurs that lead to the shore of the river. After a few photos I returned to the car. More info & trail map can be found at: Davis Wildlife Refuge.